Lancaster Marketplace is one of the most trusted markets to buy organic goods in Lancaster, PA. You will find only the best of what our county has to offer. Contact us today to learn more details. Do you ever find yourself wanting to buy natural and fresh goods but don't know where to turn to? Look no further! Below is a list of our stand holders who can provide you with Lancaster County quality products. Harvest Lane Farm is a 3rd-generation family-owned farm in Lititz Pennsylvania specializing in producing the best tasting, freshest fruits and vegetables possible. Harvest Lane Farm specializes in strawberries, tomatoes, lettuce, sweet corn, peaches, watermelons and much much more. In addition, Harvest Lane Farm sources a full line of produce from the best of what is available all year long. Healthy eating is made easy with fresh great tasting produce. Miesse Candies has been making fresh, quality chocolates in Lancaster County since 1875. They take pride in using all-natural ingredients, such as pure vanilla, real butter, and fresh cream, with no added preservatives. Their rich chocolate is made with real cocoa butter, and all of their fruits and nuts are hand-dipped the old-fashioned way. Sure to delight your taste buds, visit for a sweet treat – or two. Stroopies, Inc. was established in 2008 to provide meaningful employment to resettled refugees living in Lancaster City while making a tasty treat. Stroopies are a dutch cinnamon waffle cookie with a layer of homemade caramel in the inside and are designed to be enjoyed on your favorite hot beverage. Add in a full-line of coffee drinks, including espresso, macchiatos, lattes, blonds, and more fresh brewed with Square One Coffee, and you have a wonderful dutch treat! With a wide selection of seasonings for any food lover and dozens of choices for any tea enthusiast, it’s easy to Find Your Way To Flavor® at The Spice & Tea Exchange.®. We offer exclusive hand-mixed blends, naturally-flavored sugars, an assortment of salts from around the world, and an array of exotic teas. We focus on providing high quality products and accessories to home cooks, chefs, and tea lovers. Visitors are immediately immersed in a sensory experience where they can explore, open the jars and smell, and speak with knowledgeable staff who truly love what they do. We also offer hot and iced teas to go! Welcome to Flora's at Lancaster Marketplace. Our menu includes our delicious Pernil (roast pork), rice and beans, veggie options and an assortment of tasty sandwiches like our Cuban and Chicken Avocado. We hope that you also plan to visit us at our restaurant, where we serve up some of the best food the Latin culture has to offer: a large variety of “Latin fusion” cuisine, featuring dishes from Colombia, Peru, Cuba, Dominican Republic, Brazil, and Puerto Rico. Flora's was established in 2015 by Flora and her husband Abner Gonzalez. Flora is the chef and Abner is the artist who also works alongside his wife in the kitchen. The two of them to this day continue to work hands-on both at the restaurant and here at the Lancaster Marketplace. Lancaster Pickle Company is a locally based business in beautiful Lancaster County since 2013. We are a unique pickle company because we use a hydroponic system to grow our cucumbers and take pride in our pickling process.We use only the finest local ingredients to make and season our pickles and our pickles contain no harmful preservatives. We serve most of the local restaurants in Lancaster county and offer a retail and wholesale option for whatever you are looking for. Our most popular flavors are The famous horseradish chips and Garlic and Onion to name a couple but the best flavor is the one that makes you happy. Please stop by one of our locations and try some today! Chef Bushra Boutaleb masterfully blends the vibrant flavors of Morocco and India to bring an array of exotic specialties to Lancaster. Using fresh ingredients from local Lancaster farms and special spices imported from Morocco, Organic saffron and extra virgin Moroccan olive oil, Bushra re-creates the beloved dishes she grew up with in Morocco. Try our delicious Bastilla pie,Elegant Tagines with melt-in-your-mouth chicken or lamb, delicately spiced couscous, savory organic soups, as well as the beloved Moroccan pancake Beghrir and from India, savor delectable classics including Biryani, Karahi Chicken, Goat and Lamb, Samosas, Rasmalai, Mango Lassi and a wide variety of Hors d’oeuvres. Flavors of Morocco also features authentic hand-made jewelry, handicrafts, and products including Pure Raw Argan Oil, a powerful anti-aging oil for your skin and hair. We provide catering for a variety of events and budgets. Visit us every Wednesday for a complimentary sampling of our dishes of the day. Feizal Fakier at Pure Palate Organic has a simple mission, which is to promote dairy foods that are healthy, natural, and organic. All product offerings at Pure Palate Organic are sourced directly from local Lancaster farms with sustainable farming practices. From butter to milk to ice cream, add Pure Palate Organic to your list for all of your organic dairy needs. Basically, we keep it basic. We keep it real. Clean. Simple. Natural. We could keep going but we’re guessing you get the point. We care about the impact our products have, not only on you, but in your home. We care about what can and can’t be reused, and what ends up in the trash. We also really care about where ouringredients come from. Top priority is that they come from THIS country. Many of the herbs we use, are grown right outside the shop doors, in our soil that we love and tend too. We are very proud of the fact that our small female driven team has won 2 Good Food Awards. This is a National award that is very prestigious. We live by two very simple but powerful motto’s; Nothing unfriendly here. Eat Clean. Divine pastries from Eastern Europe! Tanya’s offers a full array of delectables from macarons to European pastries. They also carry muffins, croissants, scones, bread and more! Tanya’s is a new edition to the Lancaster Marketplace since fall 2018. We’re here for the family chef, the foodies, the health focused and the environmentally conscious! We’re here for the community builders and those concerned with animal welfare. We’re here for everyone that appreciates great meat and knows that is what brings people to the table. We want to help you gather your friends and family around great food more often. Our beef and pork is local, grass fed and free of anything unnatural. Try our many artisan bacons, sausages and smoked meats, our award winning farmstead charcuteries and our farm-driven deli sandwiches. You have a doctor, dentist, attorney, plumber and mechanic. What you also need is a professional farmer and butcher. We’re here for you with tasty, clean meats. Let’s make your next meal memorable. We are proud makers of all natural Beard & Body products. 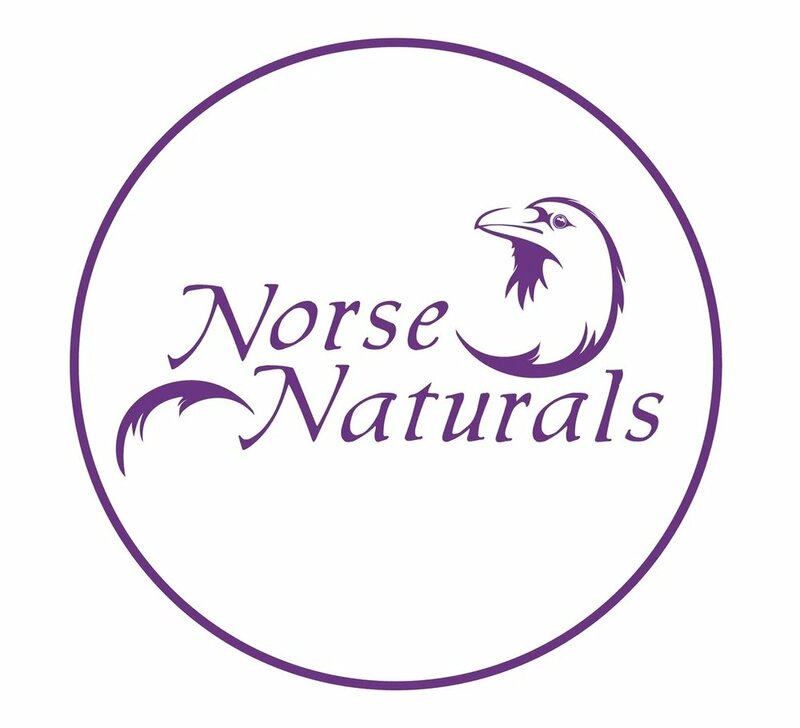 We stay true to our ancestral heritage by using the finest all natural ingredients available. We use only the purest essential oils to help with your ailments. From our full line of beard oils, balms and butters, to lip balms, salves and lotions. We are your source for all naturals personal care. Our special needs son is our motivation to provide great quality products that you can afford. Empanada Gourmet offers a wide variety of Uruguayan baked goods: empanadas (beef, chicken, rice and beans, breakfast etc. ), masitas (petit fours), alfajores (cookies sandwiched with dulce de leche, chocolate, or fruit paste), bizcochos (flaky pastries), pasta frolla, fruit tarts, vegetable pies, and much more. Uruguayan cuisine is a combination of cuisines from several countries including France, Spain, Italy, Germany, and Portugal. Our family descended from immigrants from these countries who colonized Uruguay and brought their own recipes. These recipes were considered “treasures” because they were a way to keep them connected with their homeland. We will recreate these treasured recipes so you can experience a part of Uruguayan history through our delicate and unique baked goods.